On October 15, 2012, the US Attorney’s Office for the Eastern District of Missouri announced that Richard Galemore confessed to “out-of-trust” sales for over 40 vehicles. The bank lost about $500,000 because of Galemore’s actions. Court documents indicate that the type of financing used for the dealership was a “floor plan loan” from the bank. This type of financing occurred for about 20 years up to September of 2008. A floor plan loan works in the following way. 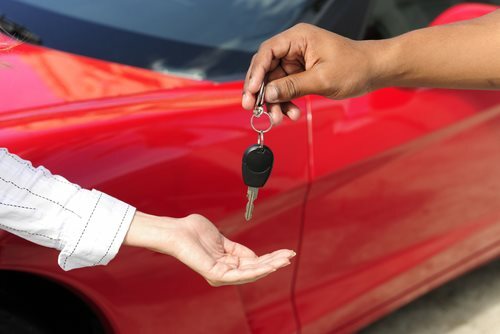 First, the automobile is purchased by the dealer, and the bank declares secured interest for the amount the dealer borrowed, or the amount “floored.” When the automobile is sold to a qualified buyer, the dealer is then required to immediately pay back the bank for the amount borrowed. Galemore would usually repay the bank on the same day of the sale or the first day, and in order to protect itself, the bank would give Galemore a list of all cars bought through a loan. As part of the agreement between the dealership and the bank, a representative is allowed to initiate “spot checks” for the inventory. In March and July of 2008, all of the spot checked vehicles were in possession, but 12 out of 30 vehicles were no longer in his possession. The cars were sold “out of trust” because Galemore sold the vehicles, recorded the sales, but failed to repay the bank for the cars. His inventory lists still declared he was in possession of the cars. Galemore suddenly closed the dealership in September of 2008. The bank wanted to repossess the loaned vehicles, but Galemore admitted that a large number of the cars were no longer on the lot. Galemore faces a maximum sentence of 30 years in prison and fines up to $1 million for one count of felony bank fraud.